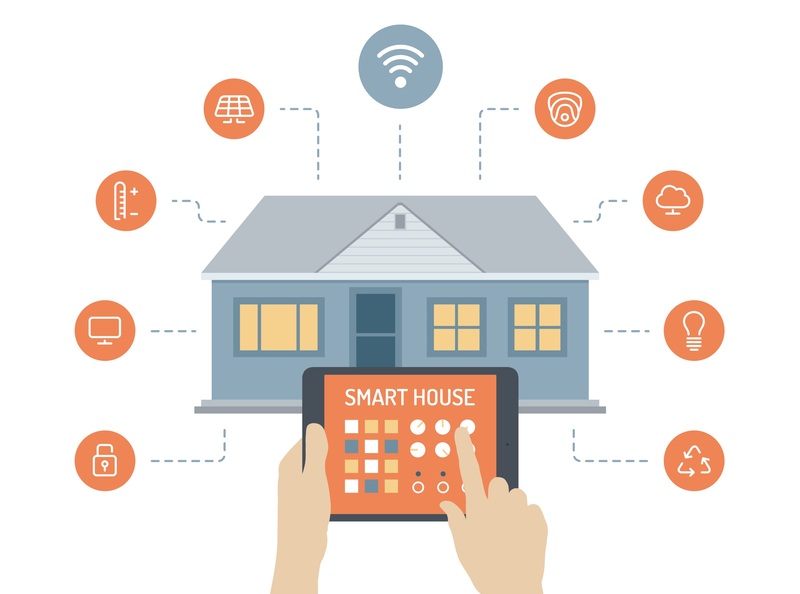 How Smart is it to Have a Smart Home? I am a self-confessed and self-diagnosed gadget junkie. I have gadgets for gadgets and I have gadgets I haven’t even used yet because I have no idea how they work. If a gadget comes with a supported app, I want it even more- it becomes a gadget that relies on another gadget to work. I fund Kickstarter projects for gadgets I have no use for but assume I will in the near “smart future.” I want a wireless doorbell with a camera, so I know who comes to my door the three times a year people come to my door. I want to spend 20 minutes teaching My Alexa how to turn down my heat, so I don’t have to spend 4 seconds turning down my thermostat even though my thermostat has an app. Oh, and I want to replace my perfectly normal functioning wi-fi thermostat with an expensive Nest thermostat so someday I can replace my perfectly normal and functioning smoke and CO2 detectors with fancy smart Nest detectors. It is a vicious cycle. But is it worth it? Naturally, like all things it depends on what you are looking to gain. For me, I don’t think a smart home is a necessity but more of a luxury. Not living in a large house, I can get to every appliance and device in under 30 seconds. If I had a grandiose house it might make sense for everything to be connected so I can turn off lights, turn down the heat, see what food is in my fridge. Ok, wi-fi and Bluetooth connected refrigerators are a step too far. Converting to a fully integrated smart home is probably not the right choice for me. Beyond the expense of purchasing all the new shiny expensive gear, there are additional prices to be paid. I am sure I will need more “bandwidth” or something and if that requires contacting Comcast and adding more gigs and giving them even more money, you can count me out. Plus, what happens if the internet goes down? Will it be the dark ages again? Will I have to turn down my own heat? Dim my own lights? Who will tell me what the weather is like outside or tell me a corny joke? I can’t be expected to live like it is 2011 all over again. I mean, sure, I grew up in New Hampshire in the 70’s and 80’s and didn’t have cable until senior year in high school and the nearest Blockbuster was a 30-minute drive away but I have since been enlightened. I have embraced iPads, Kindles, Amazon Alexas, Apple watches, iPhones and I am not about to go back to reading plebian books and magazines like riff raff.